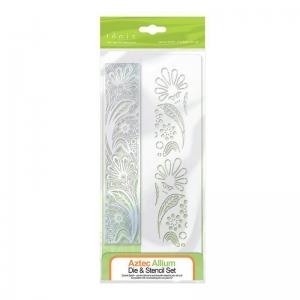 This set comes with a strip like a die that can work well by itself or you can add to the already wonderful design by using the stencil that matches the design of the die perfectly making applying any ink or glue easy. 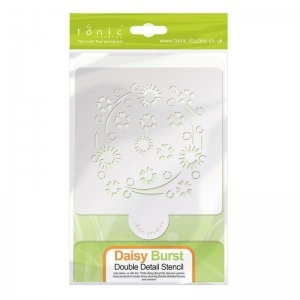 This is one of the first four sets in our range of Double Detail Die and Stencil Set. Each set comes with 1 die and 1 stencil that match up perfectly. 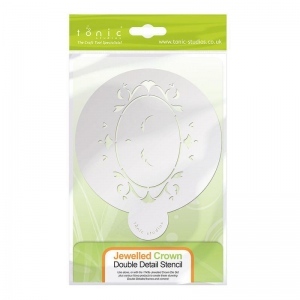 You can use the Stencil with a number of our products to make a great variety of different designs, for example, they work with Nuvo Pens, Nuvo Glitters, Nuvo Embossing Powders, Nuvo Gilding Flakes and much more. Why not pick them all up today.